My big sister in Christ and I have been talking through all of the things God has shown us as we continue on our paths to wholeness. One of the things we love about this experience is that God loves us so much and wants us to love ourselves. Don't be discouraged by your past know that God wants you to enjoy his greatest gift ---LOVE. It doesn't have to come from someone else or be given away. Start by loving you! In addition to studying for my first certification I'm looking forward to going back the studio and continuing to record DIAMOND BUTTERFLY SHARE HEAL SPARKLE SHINE FLY (and some other treats). 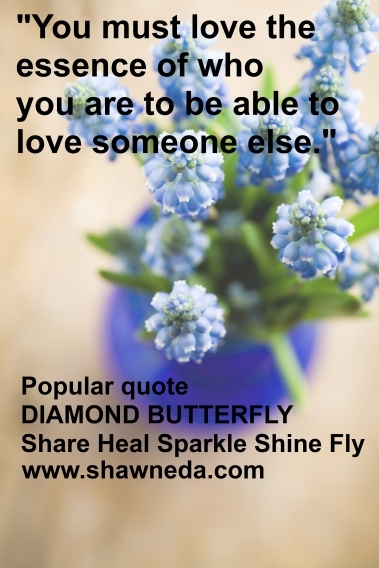 Looking forward to providing a forum for us all to encourage and support each other while we finish redesigning the official DIAMOND BUTTERFLY site for relaunch next year. Thanks for joining me on the path to wholeness. God bless you!